Bodily Injury Liability in the event of injury or medical care for you or possibly another person. Property Damage Liability if an accident is your fault and property is damaged. Collision Coverage to repair your off road vehicle in the event of a collision. Comprehensive Coverage to repair your off road vehicle because of damage from flooding, wind, vandalism, theft, or other reason not involving a crash with another vehicle. Living the life of leisure does not always take place on the road and can lead you to trails, tracks, dunes, courses, fields and woods. 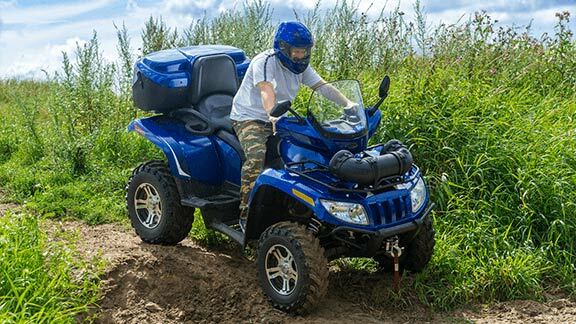 Protect yourself today by calling for a free quote on a Off Road Vehicle Insurance policy at an affordable rate.